NOTE: All catalogs are in PDF format and require the Adobe Reader for viewing. If you do not have the Adobe Reader installed or need to update your reader, please click the logo above. To view catalogs online, simply select a catalog link below. To save catalogs to your hard drive, right click and choose to save the document to a location on your computer. NOTE: Those with dialup connections are encouraged to contact us to request we mail you one of our catalogs rather than wait for a lengthy download. However, should you wish to download the files, we have split the larger catalog files into smaller sections for easier and faster downloading. Candy Creations Catalog- arrangements, gift baskets or boxes & time capsules. 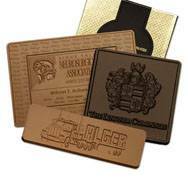 Corporate Gifts - Chocolate Catalog - sublimated glasses filled with chocolates, engraved laser chocolates, greeting cards with gift. 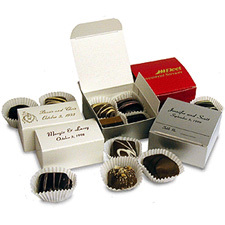 Corporate Gifts - Mints & Candy Catalog - hospitality mints and candies with your personalized wrapper. 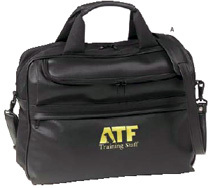 Promotional Creations Catalog- personalized with your corporate logo, there is something here for every budget. 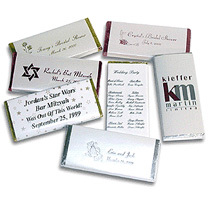 Wedding Catalog - custom candy wrappers, wedding cake centerpieces, photowrap candybars, prisim bars, custom designed boxes.